Native Toothpaste was recommended to me by a dentist and of all the toothpastes I tried, it is my favorite by far! Aside from the basic stuff like combating plaque and bad breath, the toothpaste really helped with removing stains from my teeth, and as a coffee drinker, I desperately needed this! It also gave me a minty fresh feeling in my mouth the whole day, without irritating my sensitive teeth! In addition, I simply love the ingredients in Native Toothpaste. It’s made of ingredients like real wintergreen oil and peppermint oil and doesn’t contain those nasty ingredients like SLS, propylene glycol, artificial sugar, or triclosan. It’s also fluoride-free! I’m making a big effort to get rid of bad ingredients in everything I eat and everything I put on/in my body! I’ve tried both Native Mint Toothpaste and Native Charcoal Toothpaste. 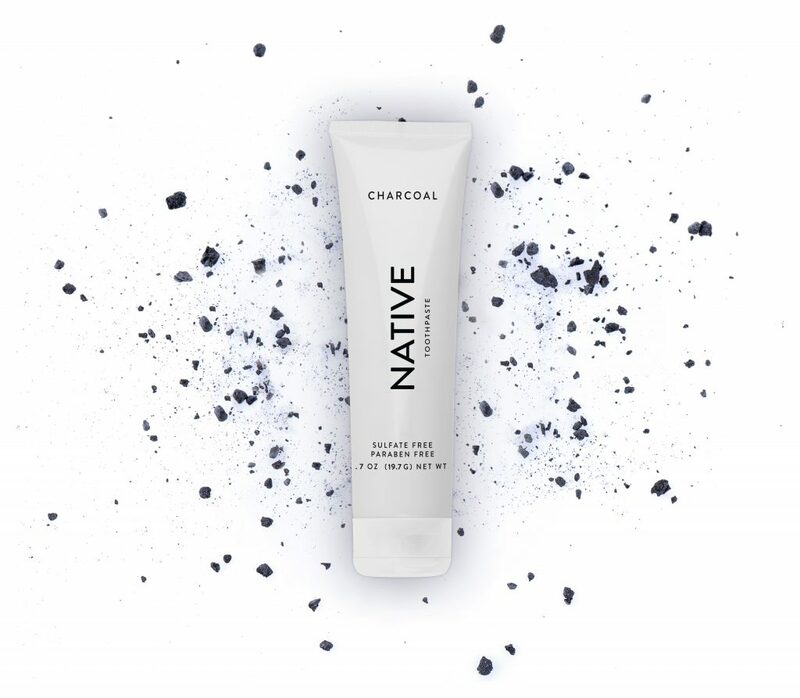 While I often still end up using Native Mint, the Charcoal version is my favorite because it makes my teeth look soooooo white after using it, and it still tastes minty fresh! EDIT: The folks at Native are offering readers 10% off any purchase over $15. Use coupon code: FIT10. 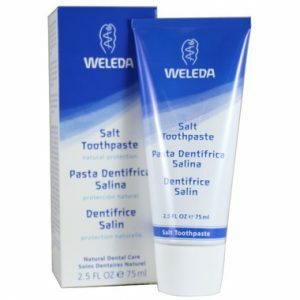 I really enjoy Weleda Salt Toothpaste. It has a lot of the same ingredients as Native – baking soda, peppermint oil, natural extracts – and it keeps my breath fresh like nothing else. In addition, it makes my mouth feel squeaky clean in a way no other toothpaste ever has, which I love. I think this is due to the salty flavor. However, Weleda has a bit of a weird texture in my opinion, and it didn’t foam the way I like. As a result, I didn’t think it did as good a job brushing away stains, and so I ranked it behind Native. If someone had asked me 10 years ago whether I would use a charcoal toothpaste, I would have said they were crazy. Charcoal toothpaste has really grown on me though. It whitens and strengthens my teeth naturally, and protects my gums without toxic ingredients. I also think charcoal toothpaste makes brushing more fun – it’s great to see your teeth from going from pitch black to really white. 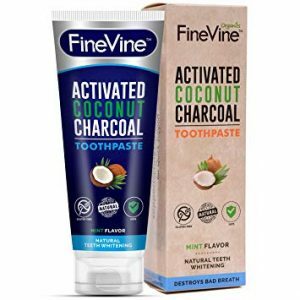 Fine Vine is great – it doesn’t have any GMO’s or SLS. However, I didn’t like the flavor of the toothpaste as much as I liked Native Charcoal, which is still a bit minty fresh. That’s why Fine Vine earned third place on my list! I tried Nature’s Gate Toothpaste for a few weeks. It is made using calcium, which helps strengthen teeth and remove plaque. It also has Vitamin C and baking soda, which help clean and whiten teeth naturally. I love how it tastes and feels, but it’s actually hard to dispense onto your toothbrush and makes a mess in your sink. It also doesn’t foam well, so I ranked it the fourth on my list. First, is there anyone who doesn’t love the throwback look of this toothpaste? Of all the toothpastes I tested, it also has my favorite look and some of my favorite flavors. I also love that it is cruelty free (so are the other 4 brands mentioned) and made in Italy. However, Marvis is definitely on the expensive side of toothpastes, and the cap is actually kind of hard to take off. In addition, I didn’t think it kept breath fresh for as long as the others on my list, and so I ranked it number five! Disclosure: Each person will react differently to each product, so please find what works for you. This post was sponsored by Native, a brand I love. I earn no commission from the links above. You didn’t mention andything about the fluoride component on any of your choices, which is my major concern since learning it is a neurotoxin. Just a couple of points about toothpaste. First, all you need of ANY toothpaste is about the size of a pea. Manufacturers show a long strip of toothpaste on the brush…if you use more you will buy more. Second, most toothpaste has sugar..sooo, you brush your teeth and go to bed and that sugar you just brushed onto your teeth will work on giving you cavities ALL NIGHT LONG…Dentists love toothpaste! Not one mention of toxic fluride? Why the omission? how are these with sensitive teeth.. ?? Are any of these fluoride free?